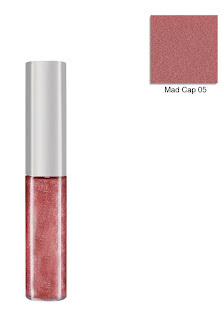 Colorbar Star Gloss Lipgloss comes in a high gloss finish that leaves your lips looking fuller and polished. The color is deeply pigmented, has a good staying power and leaves behind a beautiful tint even after it’s gone at the end of the day. It comes with a sponge tip applicator for easy application. By looking at the packaging it looks highly pigmented gloss but its not. In fact I find it hardly pigmented. It Is as tinted as a lip balms but it gives a lot of sparkling shine. Its applicator is same as NYX soft lip cream, fluffy and easy to work with. It has pink tint so it will work very good on diiferent pink lip colors or you can use it alone. Those who have pigmented lips cannot use it alone, you got to apply lip color first.